When you set foot in Tipasa, you see exactly why this plot of land has long been a prime piece of Mediterranean real estate. Among honeyed beaches, shady pine trees, and gently rolling hills, the sweeping turquoise sea serves as the backdrop for a layered history of golden ruins overlooking the coastal cliff. 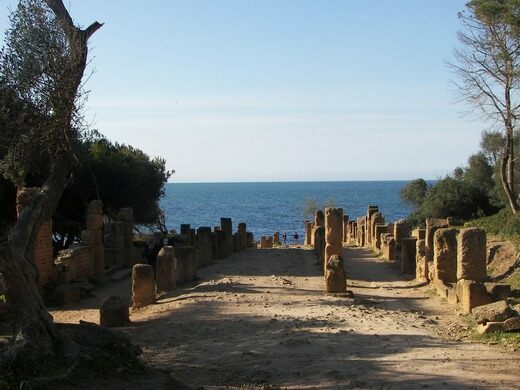 Colonized several times over between the 6th century BC and the 6th century AD, Tipasa originated as a trading center for the Phoenicians of Carthage. At that point, the city served as a port from which the population could buy and sell commercial goods with Greece, Italy, and the Iberian Peninsula. But not for long. Over time, the ancient settlement would variably fall under the rule of the Romans, early Christians, and Byzantines, each of whom used the territory as a trading post and/or a launching point for conquests into the kingdoms of Mauritania. A walk through the centuries of remodels and new additions at the site features a comprehensive Punic necropolis; ancient toilets; an amphitheater that saw gladiator throw-downs and naval battle reenactments; a second theater because, well, one entertainment venue is never enough; a Christian religious complex fitted with thermal baths, basilicas, and tombs; and, of course, the main streets of the once-bustling town center, which stretch directly out to the sea. Under Roman rule, a defensive wall was erected around the city to protect it from nomadic tribes, as the site became a serious military and commercial contender. 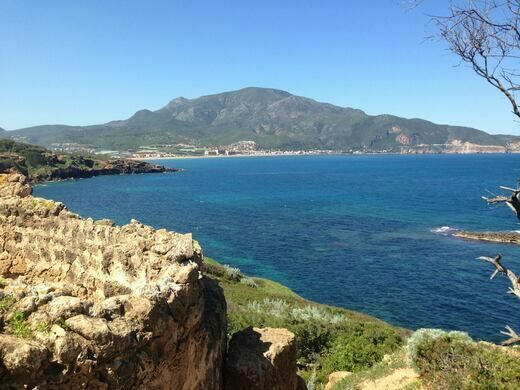 The central location of Tipasa also enabled the Romans to build up their North African road system. Later, as Christianity spread, religious buildings did too, including the Great Basilica and the Basilica Alexander—focal points of Tipasa’s western section—while the Basilica of St. Salsa served those too lazy to walk over and attend mass from the eastern side of town. Alongside the folds of colonial ruins, monuments of the indigenous people of the area also stand. The most notable is the nearby royal mausoleum, Kbor er Roumia, which is the funerary monument of Berber King Juba II and Queen Cleopatra Selene II (Cleopatra and Marc Antony’s only daughter). 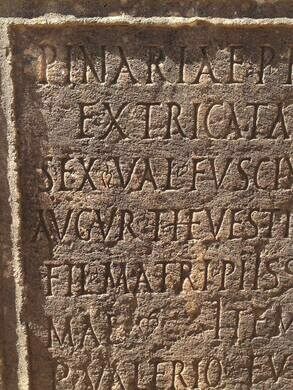 Tipasa took a hit by the Vandal king Huneric in 429, who persecuted its Catholics, the remainder of whom fled for their lives to Spain. After this, the ancient city was abandoned, and although the Byzantines revitalized it somewhat in the 6th century, it fell into ruin shortly after. 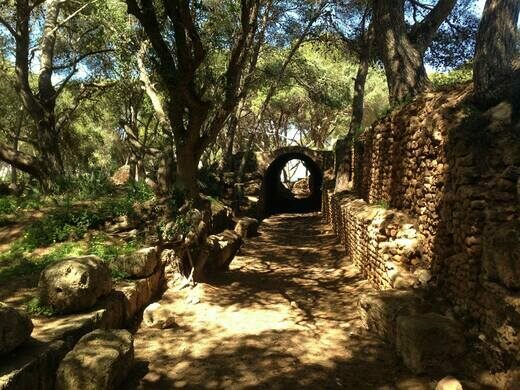 Tipasa has been called “one of the most extraordinary archaeological complexes of the Maghreb” by UNESCO. And it certainly is worthy of the title. Be sure to fill up on couscous before the trip! 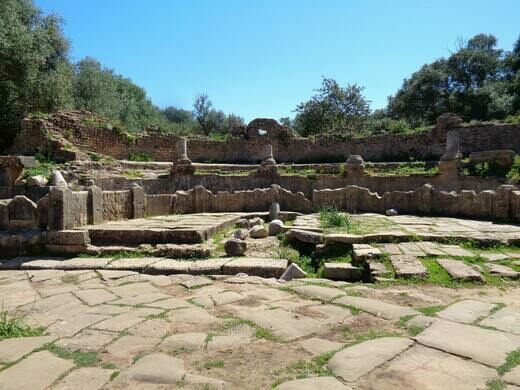 The drive from Algiers to the Tipasa Archaeological Park is about 74 kilometers (45 miles), but a stop-off at the funerary monument of Kbor er Roumia will add a bit more mileage to your trip. Come with a tour, and you’ll probably be led by a rehearsed historical guide. Come on your own, and a knowledgeable local groundskeeper might take you under his wing, offering an off-the-cuff history lesson at no extra charge. 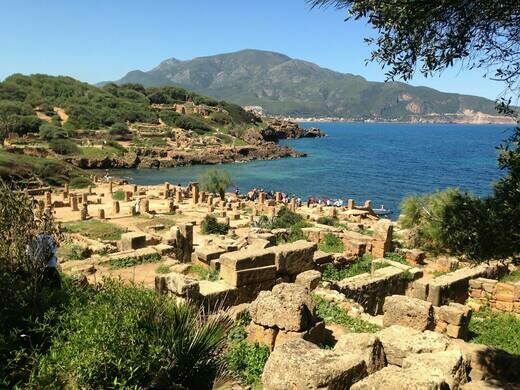 Note that the ancient site of Tipasa, spelled with an "s," is located in the modern city of Tipaza, spelled with a "z." A solitary lighthouse in Spain was an inspiration to the great Jules Verne. Semi-mystical manmade towers of rocks decorate this rocky seaside.